The pitched legal battle over control of the Denver Broncos continues to drag on. Bill Bowlen, brother of owner Alzheimer’s-stricken owner Pat, is carrying on with a lawsuit against the three-person trust tasked with overseeing the ownership transition, and the trust and one faction of the Bowlen family is fighting him on it every step of the way. In the last week, Bill Bowlen asked the Arapahoe County District Court to stop the members of the trust from drawing a salary from the Broncos or getting their legal fees covered by the team. On Monday, the trust asked for a 30-day stay in proceedings; Bill Bowlen objected. Another influential figure in the drama has now stepped in for the first time. Lawyers for Pat Bowlen’s wife Annabel announced today that she has filed a motion in court to intervene in litigation and make it clear that Bill Bowlen does not speak for her. What this means is that Annabel, who has also been diagnosed with Alzheimer’s, supports the job the trust is doing. 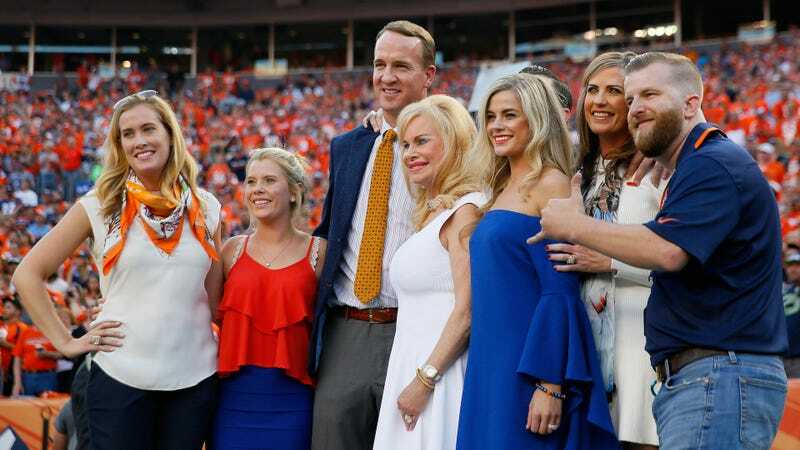 “We believe that that the Trustees have honored the wishes of her husband and their obligation to the beneficiaries of the Trust, and that the filing of a lawsuit by Mr. Bowlen’s brother serves no purpose,” her attorney said in a press release. This is not exactly surprising, since the trust seems to favor Annabel’s daughter Brittany to one day take over the team. Brittany’s primary rival is her half-sister Beth Bowlen Wallace, who is older than the 28-year-old Brittany. Although the trust does not hold Beth in high regard, she has the support of Bill Bowlen and another one of Pat’s siblings.